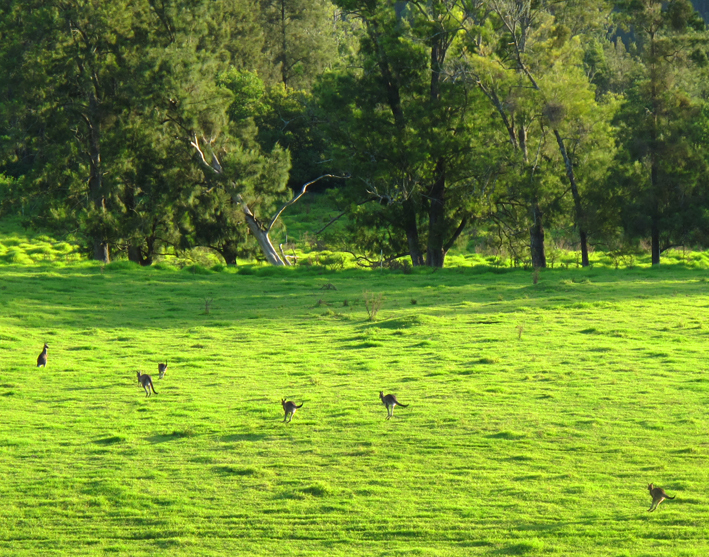 Your new views certainly are lush and green – not a colour we’re seeing much of here in the Adelaide Hills at the moment. Oh, for some rain. I suspect that I would feel exactly the same as you if put in a position where I had to talk about myself and my work repeatedly. Having said that, I’m so very glad you came to do just that in Adelaide and we got to spend a little time together. I (selfishly) enjoyed it enormously. Enjoy what’s left of your peaceful green views – you’ve earned the break. Love this. You are just up the road from my house! 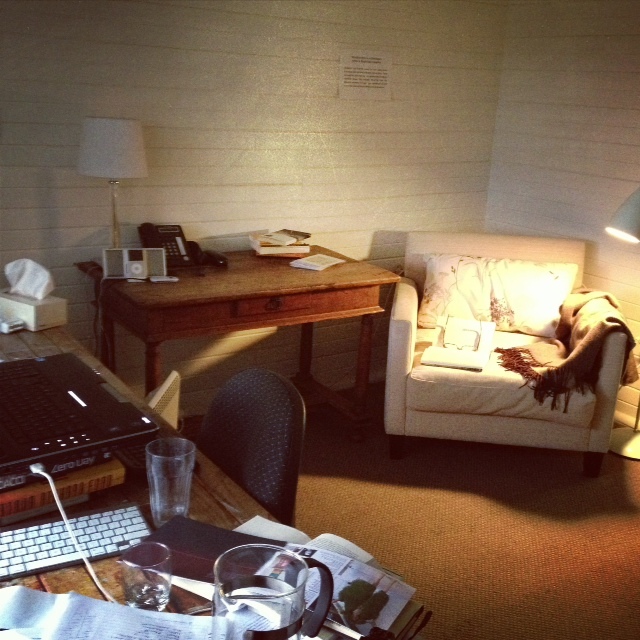 I am so glad that you are having some peace to write in such a tranquil setting. Thankyou gals! 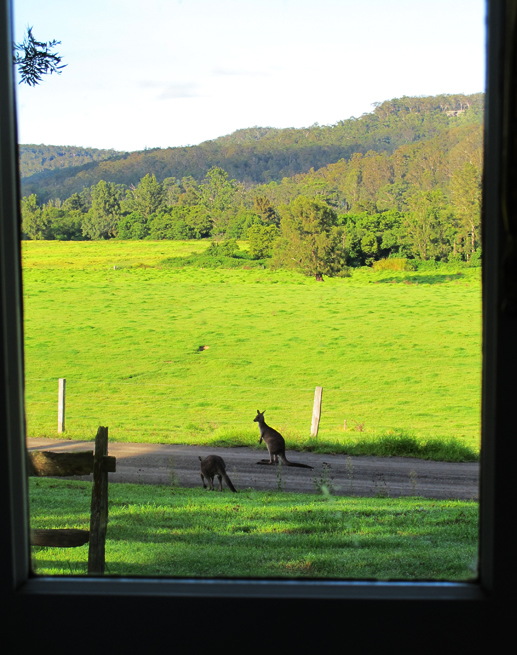 Allison I am waving vigorously at my front window – will send some homing kangaroos with my greetings …. I really enjoyed reading your account of your routine and what too much talking can do to creativity, and your evocation of the environment. Also, must remember to bake the veggies next time I make pumpkin soup! Thanks so much for taking the time putto let us in. 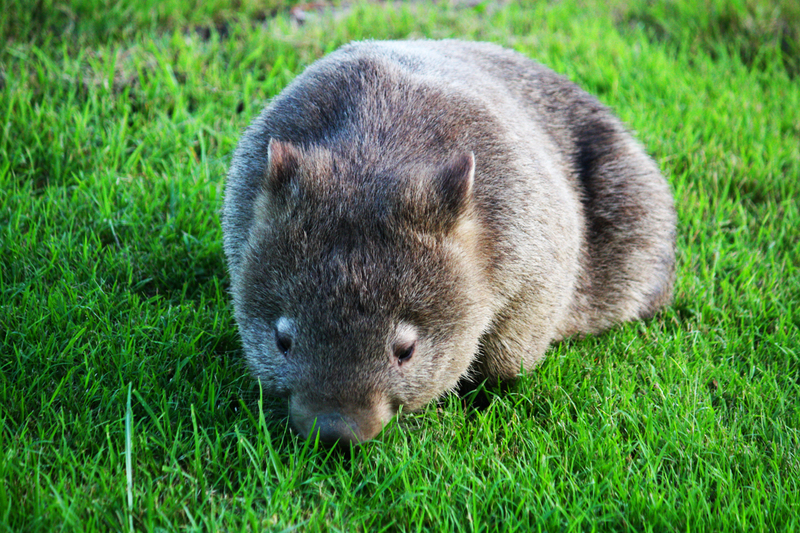 Please bring me back a wombat. Auto correct above please. Time TO let us in. Where did the putto get in? Charlotte, being in and part of the bush really helps connect us to everything that is real and somehow slows the heart rate down so we can focus on the important stuff. My friend Trish Dixon said she saw you down south for the writers festival, hope it went well. Am doing a catering job where I have to provide 36 yummy packed lunches, do you have any ideas? The recipients are all gardening fans and will be walking around beautiful gardens carrying their lunch boxes, thought I d like to do something a bit different. Heading over to France and Italy, Denmark cycling my way around, any places that you know I should sit down and feed my face? I can feel your shoulders dropping in this post. Love the wombats. Charlotte, was so lovely to catch up with you at Crackenback…I am still in awe! Glad you are having some R & R – would you like a UDL to go with that? I will be the first visitor, specially to visit your beautiful orchard. 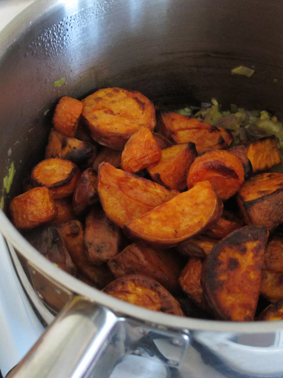 I was inspired by your recipe of Bundanon soup and decided to do a roasted vegetable soup. I was quite lazy and simply chucked everything in the roasting pan: potato, carrot, capsicum, onion, beetroot and (because I live alone) an obscene number of garlic cloves. When they were roasted I felt almost guilty chucking this gorgeous pan of roasted vegies into the saucepan and covering them in water, but the resulting soup was absolutely divine! The beetroot gave it a gorgeous cheerful colour and the roasted garlic was superb. I think this will be the dish that defines my winter this year! Lordy that sounds good. just don’t tell Beeso above about the beetroot – he has an unjustifiable beetphobia. I was lucky enough to be there a long time ago. There is nothing like a Bundanon experience. So true. I still have the vision of that green ..
Charlotte this place sounds so peaceful! I just love that quiet sort of routine, especially after insanely busy times, or illness too. 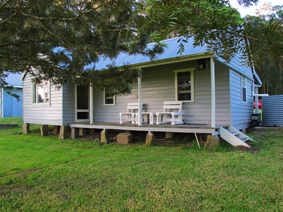 I can just imagine staring out at the lush green surrounds… and the wombats add a bit of fun!